Hi there, since this is a recent post of yours, I’ll explain how I got around the proprietary dell stuff on my poweredge 840. I chose to go with a non-pwm fan. I used an antec tricool. twist tied it in place. 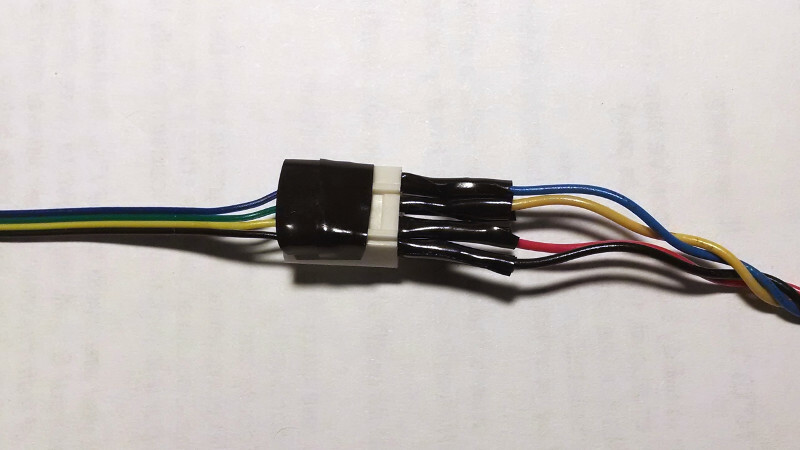 And ran the wires into an extra connector that I have (i believed I salvaged it from an old sound/audio cable that was 4 pin that was thin enough to fit into the dell motherboard headers). I also got an antec spot cool and mounted it inside. Now, I have the tricool on medium settings and the spot cool acts a s push/pull fan on the cpu cooler. seems to work ok . I chose a PWM fan was because I assumed that the BIOS/BMC firmware controlled the speed in an intelligent way. Looking at the data, that’s clearly not true, so I guess a PWM fan isn’t really getting me anything. For some reason, it never occurred to me to attach a fan to the CPU cooler. I guess that takes care of the problem pretty directly. I still haven’t done anything to my 840 (just the 830), perhaps I’ll try that approach on the 840. I haven’t had any problems with my setup so far, but I also haven’t loaded it much. I have a 840 also and find it is quite responsive at turning the fans up and down when I put the some load on the CPU. That maybe another issue worth dealing with later…. but I digress. I’ve not done any testing on mine yet but what you say does not make sense. To me the heat sinks on your machine is not working. I can’t see how it is possible that the massive metalic tower grill in the picture on this page will not respond to higher air circulation. What you are saying violates the laws of thermo dynamics and or simply the heat sink is not big enough. That thing is one of the biggest things I’ve seen in the market and with the amount of air pumping out of the 840 it is impossible for it not be work. I suggest that you take the heat sink off and remove the heat sink grease and reapply it…. The plots clearly show that the temperature responds to increased fan speed. Watch what happens to the temperature when the fan speed kicks up after hitting the minimum. The problem isn’t that the heatsink doesn’t work, the problem is that, at least on my systems, the CPU temperature has no effect on fan speed. The stock fan runs at 1800 RPM all the time, but the aftermarket fan constantly tries to slow down until it hits the minimum speed. Only in one chart the RPM have a little effect….. for the rest when the RPM goes up, the temperature does what ever it does…. Even your PWN fan the RPMs increase drop do nothing to the temperature. Your stock fan the RPMs are constant and seem high to me, and have no impact on the temperature…. why is that? COuld it be that the RPMs don’t provide any cooling what so ever? Could that be because your cpu is isolated from your heat sink? My machine was using Xeon 3040 1.86Ghz CPU turns on the fans very promptly…. and turns them off when the load drops…. (now this could be an annoyance dealing with in itself but e will leave that for later). Any idea if this concept works on the precision R5500? I know it has custom snap in fans so thinking they can’t be replaced. No actual wires to splice, so chances are would have to stick with th given modular fans. I have four of these units and thinking the noise in my house will be overwhelming. You could try adjusting the thresholds, but I doubt that will help much with the noise. 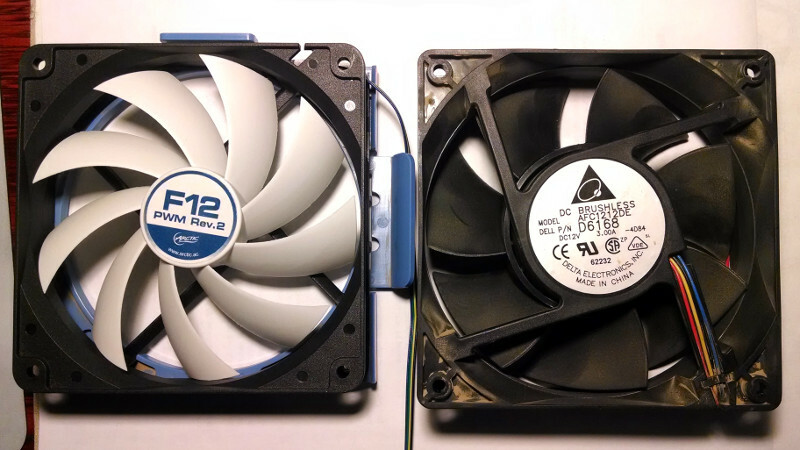 The site I link to has a note that you really need to replace the fans if you want to reduce the noise. The fans in server chassis aren’t build with noise in mind, as they’re often drowned out by the machine room’s air conditioning anyway. It looks like you could probably remove the connector from one of the existing fans and attach it to a new fan, if you can find fans that are the same form factor. Have some BlackNoise PWM fans on the way. Hoping they will work. trying to find the, in my case, 4-pin Dell connectors with the locking clips on them. Was thinking instead of hacking fans and soldering them back together, would create an extension cable, one side the male 4 pin connector to connect to the BlackNoise fans, the other side to a new Dell 4-pin connector. I know all articles out there mention the 5-pin Dell connector that the last pin isn’t used. Mine only has 4. With this method if I get the pins wrong can swap them around easy by popping out the ends and adjusting. Even a really think connector may work if not the Dell specific one. It might be possible to build one for less, but if you only need one or two, this one is certainly easier. Yes, I saw that adapter. Comes real close other than not sure how they have the wires pinned out. What. Is close is everyone talks about the Dell 5-pin connector with four wires used and the lock mechanism. Mine has 4 physical pins on the connector. So would need something like that, but with both sides having four pins. The 5 pin connection side wouldn’t fit into the motherboard connector on the power supply as it’s to wide. You could get those at fry’s, but you’d have to cut wires and connect them as needed. 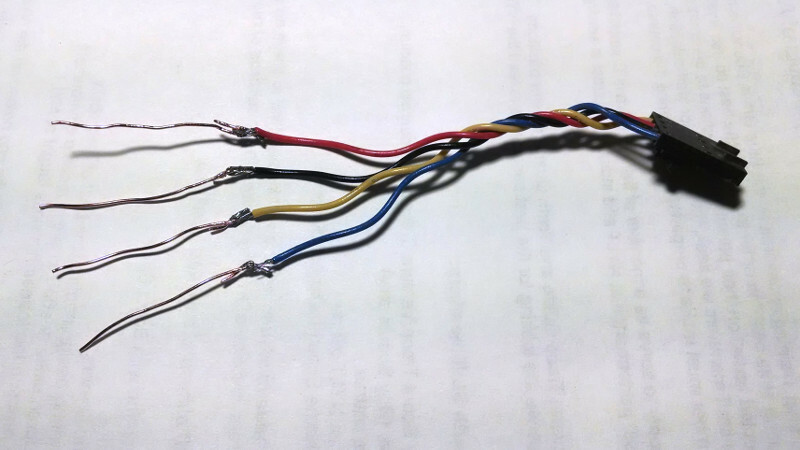 Or if you can find a soundblaster to cd rom audio cable, but it only has 3 wires, so you need to add the fourth pin. That’s what I did to my rig. This helped me with quieting a T420 I had, thanks! The pins were actually lined up so I just had to make an extension cable! I investigated driving the pwm pins from an arduino with uln2003 driver it worked fine and gives the micro almost full control. What i have learned is very interesting the minimum fan speed that can be set is 3000rpm ie cutting the blue wire and connecting the blue wire from the fan to the black wire sets the fan speed at 3000rpm. Which is above the minimum required by the cpu. still alittle noisy but functional with no parts required. A little late… but I just found the identity of the 5 pin fan connector on the Sunon fan used on earlier DELL Poweredge servers. It may be useful for somebody.